There is so much to enjoy about Strasbourg. The history. The architecture. The sheer beauty of the place. And you can’t help but enjoy the food. Given the location and the history of Strasbourg, it won’t come as a surprise that the cuisine of the area applies French finesse to some German classics. This cultural mix results in menus full of hearty dishes that come to the table with complex flavour combinations and exquisite sauces. There’s no shortage of places to eat in Strasbourg. The big problem comes in deciding where to eat. 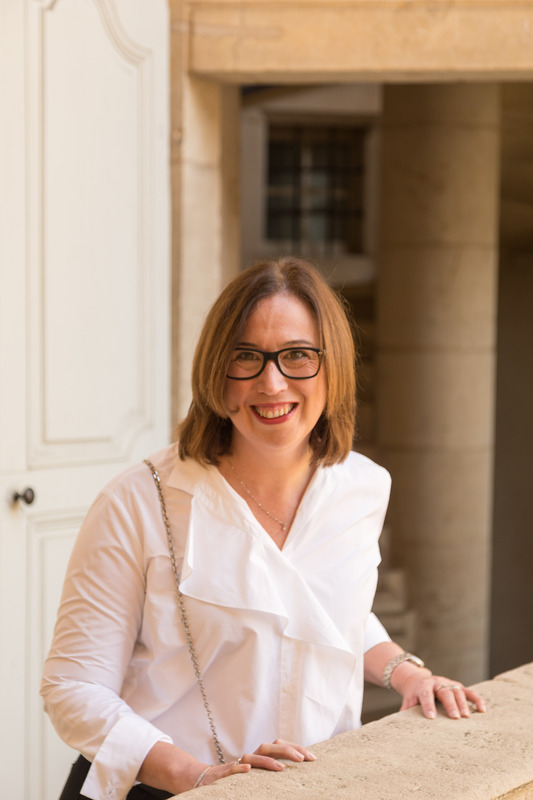 Seriously, we didn’t have a bad meal in Strasbourg – which is quite amazing when you consider how hit and miss restaurant selection can be while you’re travelling. Having said that, we generally prefer to take recommendations when dining in new city rather than using hope as a strategy. So we thought we’d share our list of the best restaurants in Strasbourg. 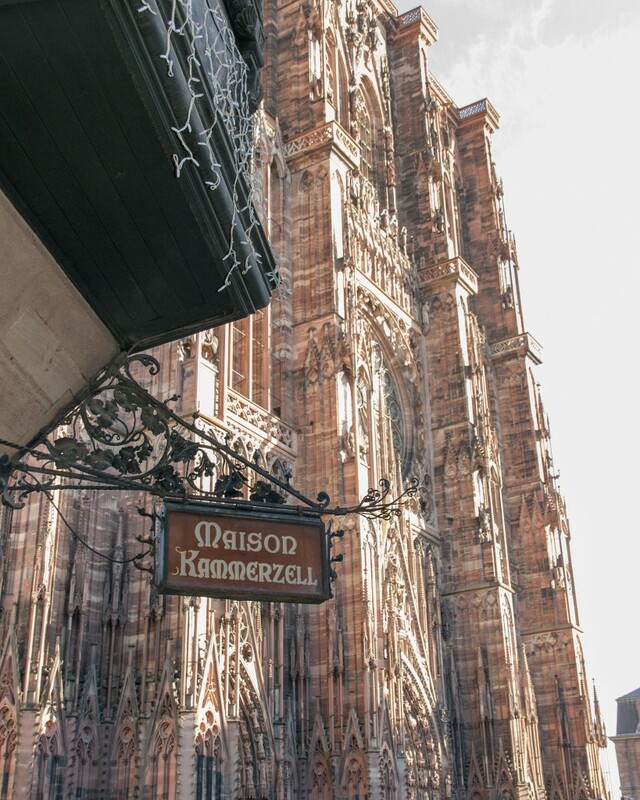 Established in 1427, to say Maison Kammerzell is a Strasbourg institution probably underplays things a little. Situated right beside the cathedral, the restaurant is made up of multiple small dining rooms over numerous floors, each with a different feel. We visited the restaurant twice and (between the 3 of us) enjoyed the traditional dishes including lamb, salmon and the duck. But the famed dish of Maison Kammerzell, the Choucroute aux 3 Poissons (sauerkraut with three different types of fish) is definitely the stand out and worth trying if you ever get the chance. Stay tuned for more detail on Maison Kammerzell in my upcoming guest review for Our French Impressions. 16, Place de la Cathédrale. In case you didn’t guess from the name, the menu of La Cloche á Fromage revolves around cheese. And if you happen to be a cheese lover, you shouldn’t miss this place! You can order the obvious cheese dishes, like cheese plates or steak with cheese sauces. Or you can indulge in a little interactive dining with dishes like the raclette or the fondue. Either way, I promise you will enjoy this extremely popular restaurant. Bookings are definitely recommended. 27 rue des Tonneliers. This small, contemporary gem that seemed to cater for locals rather than travellers is just steps from La Cloche à Fromage. Au Petit Tonnelier serves Alsatian classics with modern twists and makes a point of clearly stating that all food is made on the premises (something that doesn’t always happen in restaurants geared toward the tourist trade). We enjoyed eating at Au Petit Tonnelier twice – neither time with a reservation. 16 re des Tonneliers. You are back on traditional territory at Le Tire-Bouchon. The service is timed just right and the ambience is historic, with stone walls glistening in candlelight and wine served in pottery jugs. And the menu is full of Alsatian classics – which naturally include pork knuckle and choucroute – served in generous portion sizes. Bookings are definitely recommended. 5, rue des Tailleurs de Pierre. Located right in the heart of Strasbourg’s Petite France district is La Corde à Linge. If I could only choose two words to describe this extremely popular restaurant they’d be excellent and quirky. With dishes named after various fabrics and a fit out that features antique sewing machines, you don’t go La Corde à Linge for traditional French dining. You go for amazing service, brilliant spätzle (Alsatian pasta) and super people watching opportunities. And if the all meatiness of Alsatian fare has become too much, La Corde à Linge does a mean salad. We recommend either arriving slightly earlier or somewhat later than standard dining hours if you want a table. Alternatively, be prepared to wait. It will be worth it. 2, place Benjamin Zix, Petite France. Did we miss one of the best restaurants in Strasbourg? Do you have a favourite Alsatian restaurant? Please share you dining recommendations for Strasbourg in the comments below.